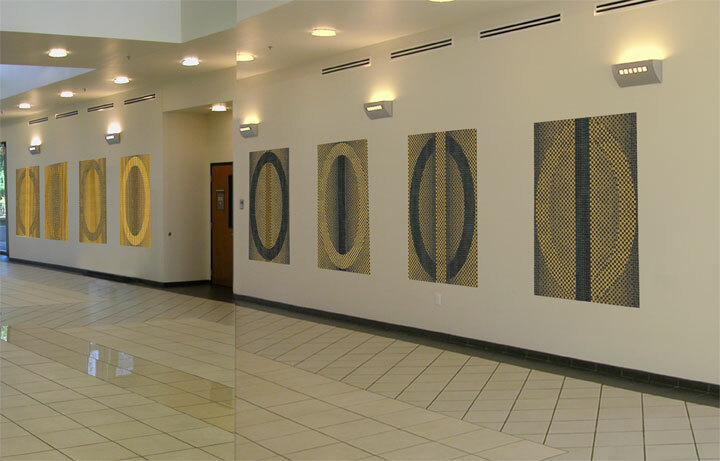 Pixilated Binaries is a suite of 8 multilayered panel paintings proposed for the lobby of a new engineering building at the University of Central Florida in Orlando. 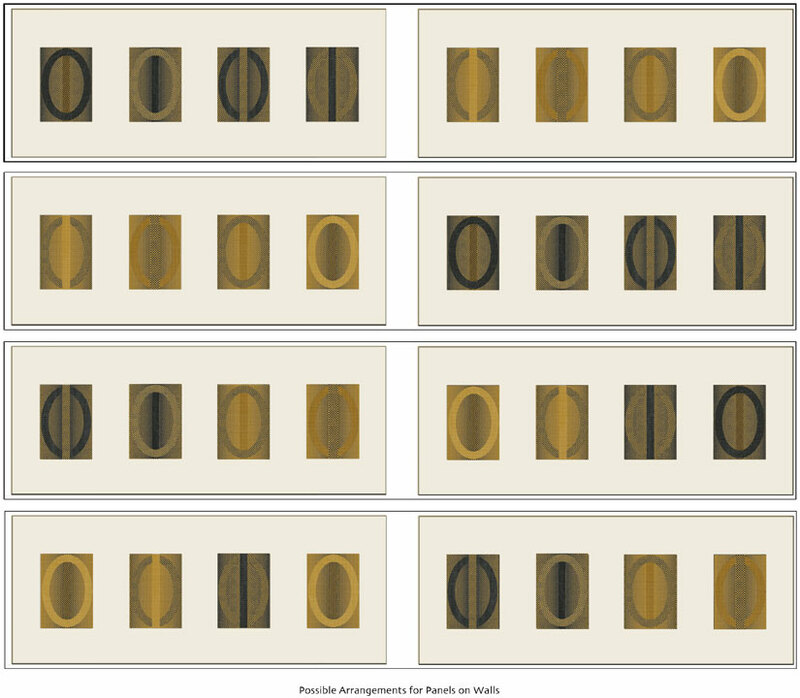 The imagery for these paintings utilizes the binary code, by composing the rectangular panels with the numbers 0 and 1. For several years Debra has been exploring how to visually create representations of space through painted and fabricated patterns of squares or rectangles. These patterns work in a similar way that pixels work to create illusion, creating a range of solid areas to spatial areas depending on the color and/or quality of the combination of squares/rectangles. The imagery takes place on 3 layers of ¾” board. The back board depicts an 0 or 1, the front board depicts an 0 when a 1 is in the back or a 1 when an 0 is in the back. These 0’s and 1’s are always painted as extremes where all the squares are black or all the squares are gold or the squares alternate between the two. This makes the 0’s and 1’s have a solid feeling when one color is used, or an open feeling when two opposing colors are used. The mid panel creates a vertical landscape atmosphere in the space amid the 1’s and 0’s. Here the paint gradates between the all black squares to black/gold squares to all gold squares. The pictorial possibilities seem endless. This endless feeling is expressed in these 8 paintings through both illusion and the physical layers where the 0 and 1 reside.